If you want a brighter smile, you may consider receiving a teeth whitening procedure at our office. This type of treatment may seem like the ideal solution when you have stained or yellowed teeth. With this procedure, your teeth are bleached for a brighter look. Before making the decision to whiten, here are a few things to consider. Many people turn to professional teeth whitening. If you have good gum health, this may be an answer to your problems. 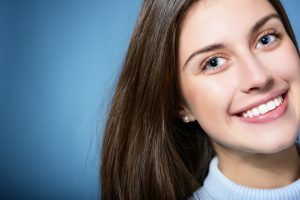 If you have experienced staining from what you eat, from smoking, or from age, a professional whitening procedure may be able to deliver a brighter smile. However, if you have discoloration from a health condition, other options are available. Also, a professional whitening procedure is not the best idea for individuals with cosmetic work that has been done to front teeth or crowns and caps. As long as you have healthy gums, your dentist should recommend a whitening treatment. However, if you have any signs of gum disease, you may be advised against this procedure. The chemicals may cause gum irritation or heightened tooth sensitivity. If you have minor staining, you may find it helpful to use OTC kits with trays and gels or whitening toothpaste. These are not as strong as professional whiteners. If you have a lot of restorative work in the front of your mouth, you may wish to consider veneers as a way to improve your appearance. Before making the decision to whiten, it is best to consult with your dentist. At our office, teeth whitening is a common procedure. We carefully discuss the treatment with our patients and always recommend the best course of action. For a consultation, schedule a visit today.